Life is moving at a fast rate and it has also disturbed our daily routine in a bad manner. This phenomenon has caused mental stress and depression among individuals. For such depressed individuals, Telebrands Pakistan has brought a new, versatile machine “Foot and Leg Massager”. 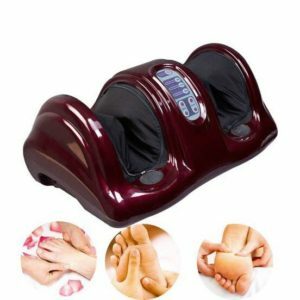 The foot and leg massager is also known as the foot and calf massager in some countries including Pakistan. it is the simplest, quickest and cheapest way to relax the sore and tired foot and calf muscles. 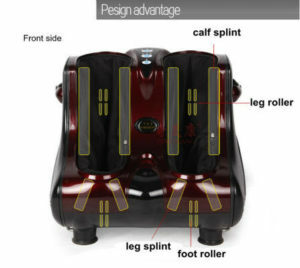 This versatile machine can help to soothe your muscles that results in deep relaxation. Moreover, this massager also helps to improve the blood circulation, boosts the energy level and can provide instant relief from pain. Now you do not need to spend thousands of rupees in the massaging gym or sauna gym to calm your tired, sore and fatigue muscles. The same requirement can now be accomplished through the Foot and leg massager. Normally, all the massagers in this category come with an option of automatic and manual, but the foot and calf massager comes with the 3 vibration mode. Users can choose the intensity of the vibration according to their mode of requirement. These tri-vibration modes stimulate all the reflex points under your feet. As a result, you will feel the ultimate peace of mind each time you use the device. The massager can be used at home whenever you need to relax your muscles. Its powerful kneading and vibrating massage will give you the instant results. The foot and leg massager is a portable device and it can be used to almost any workplace or living place that has an electric socket. Because of its numerous benefits, it can be considered as an ideal machine for diabetes patients, expected women’s and all those individuals who have to stand on their feet for longer durations. For hygienic purposes, the massager is accompanied by a detachable soft cloth. This soft cloth can be washed if required. Try to use the mild detergent and lukewarm water to wash the cloth. Helps to alleviate the several women related symptoms as the menopause, edema and Premenstrual syndrome (PMS).